Alpine performance meets backcountry weight. 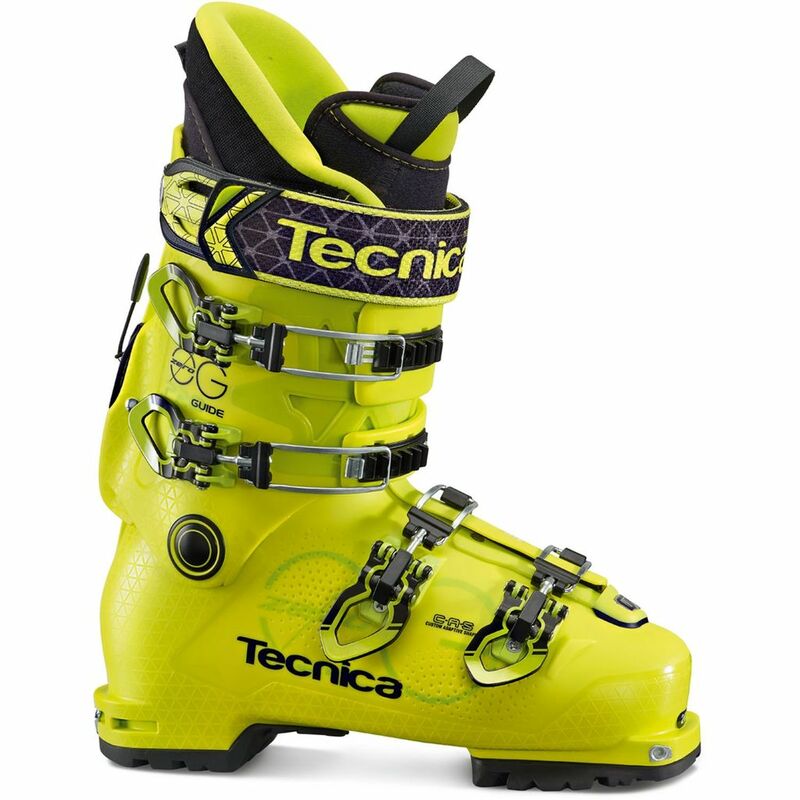 Tecnica introduces the Zero G Guide Pro boot for those who want the lightest alpine boots on the market, or the stiffest backcountry boot in its class, all in one boot. Remember when backcountry skiing meant wool knickers, leather 3-pin boots, wood skis and tight turns on low angle terrain? Remember when alpine boots were hardly more than rigid plastic tubes that skied like leg casts and weighed as much as a large cat? We've seen boots move from leather to plastic, and seen the technology for progressive flex, well, progress. And here is the next level: a boot as light as any in its class, with a full 44-degree fore/aft walk mode rotation and a 130 flex that blows the competition away. Stiffer and lighter. Who wouldn't want that? The bi-injected trial 3.0 shell material is 30% thinner and 2.5 times stiffer than traditional Pebax plastic. 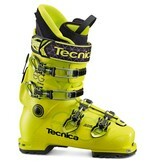 But no one wants to ski with their shins against a wall, so Tecnica designed this boot with a dreamy progressive flex for incredible ski control. Combine this with a metal-to-metal, Self-Adjusting System walk mode, you don't need to worry about your lock mechanism wearing down over time. And when you've finished wallowing in the powder, a single switch flips to engage the walk mode, and the top two aluminum hook buckles open easily with gloves and stay hooked all the way to the top for quick changeovers. The full thickness heat-moldable Palau liner flexes at the ankle and has minimal seams for durability, with eyelets for those who like to lace. So you can wax poetic about the old days of skiing, while looking straight in to the present.